It’s something that I both love and hate. I love it because there are such neat ideas on there. Yummy recipes, fun kid activities, decorating, crafts, lesson plans, and more. It’s amazing how many creative people there are. On the other hand, it can be a time sucker and addictive. Plus there are the feelings of guilt that arise when you start doing too much comparing of yourself, your home, your kids, and your organizational ability to everyone else’s. So my Pinterest use is sporadic. I have found some good recipes there but I really hadn’t attempted any big Pinterest projects….until last week. 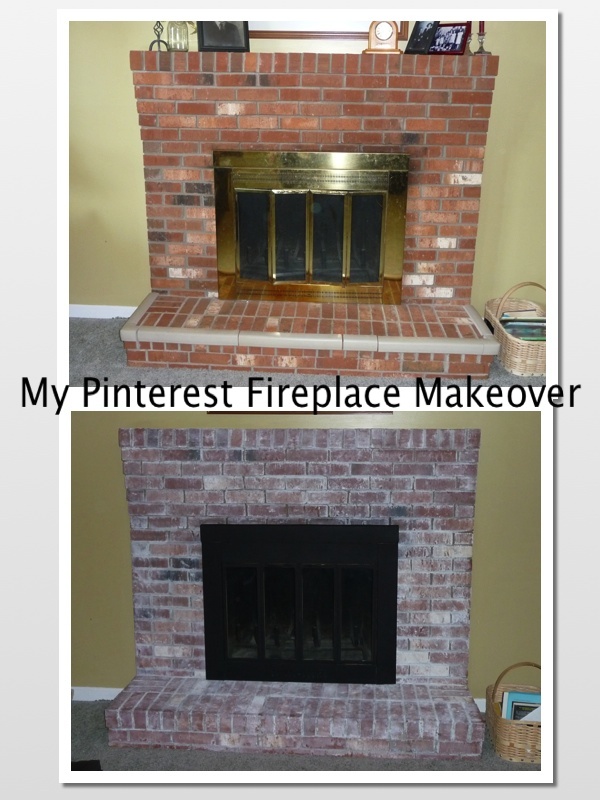 I wanted to do something about my brick fireplace and brass screen. 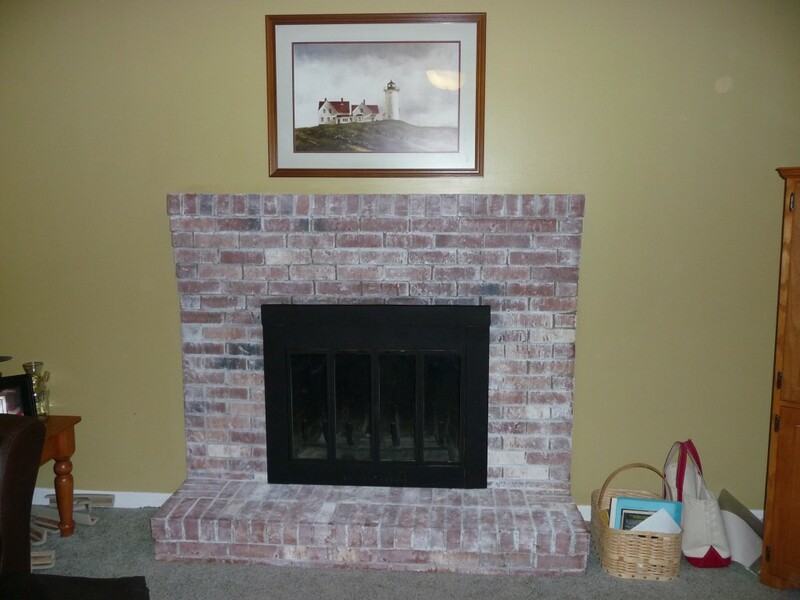 I had thought of painting the bricks white, but then I stumbled on this. It looked a lot like my current set up. 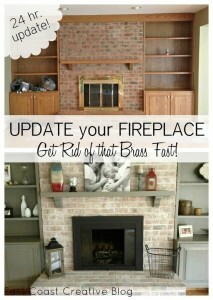 Well, I don’t have those great shelves or the wooden mantel. Just the brick and the brass. So I decided to go for it. 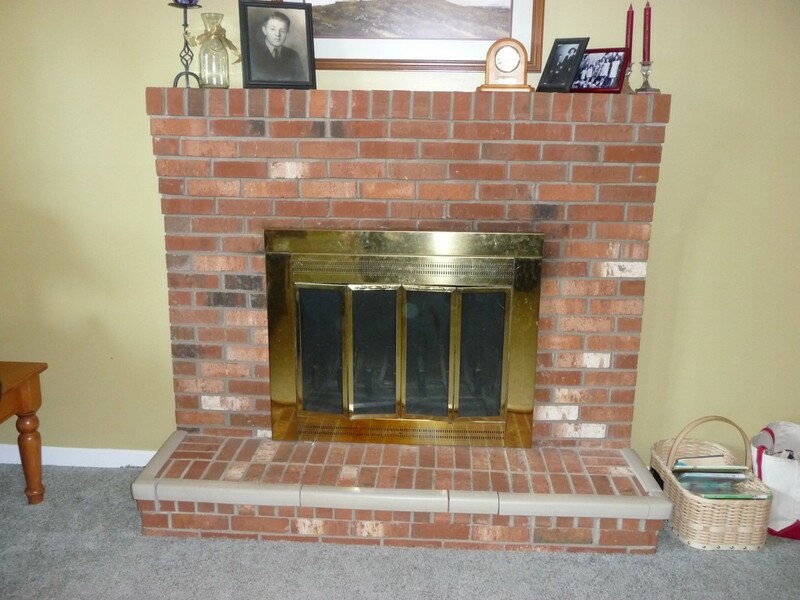 First, here is my fireplace, red brick, brass screen, and bumper pads. When I got the doors open I was greeted with this. 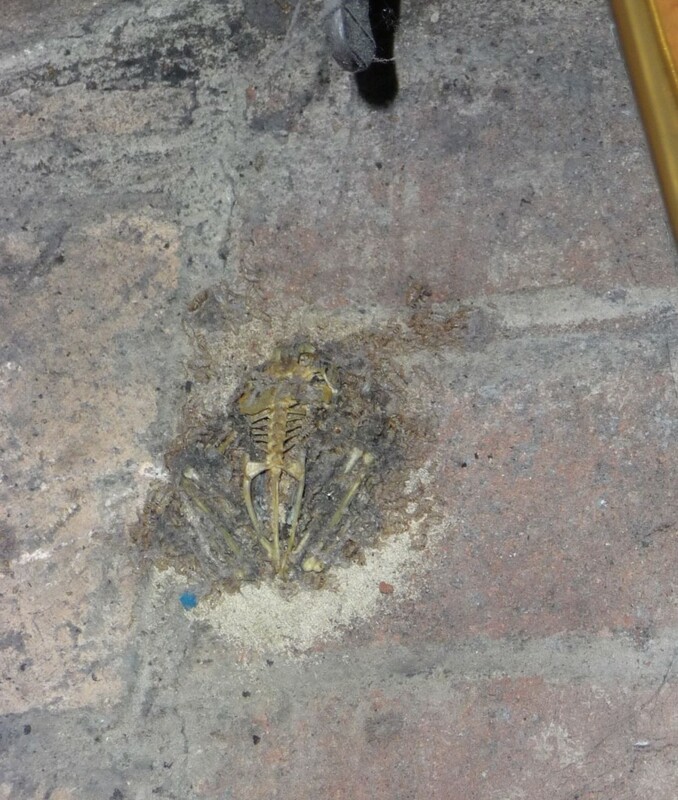 Yes, that is indeed the decayed remains of a toad skeleton. How, when, and why it chose to get in our fireplace remains a mystery. 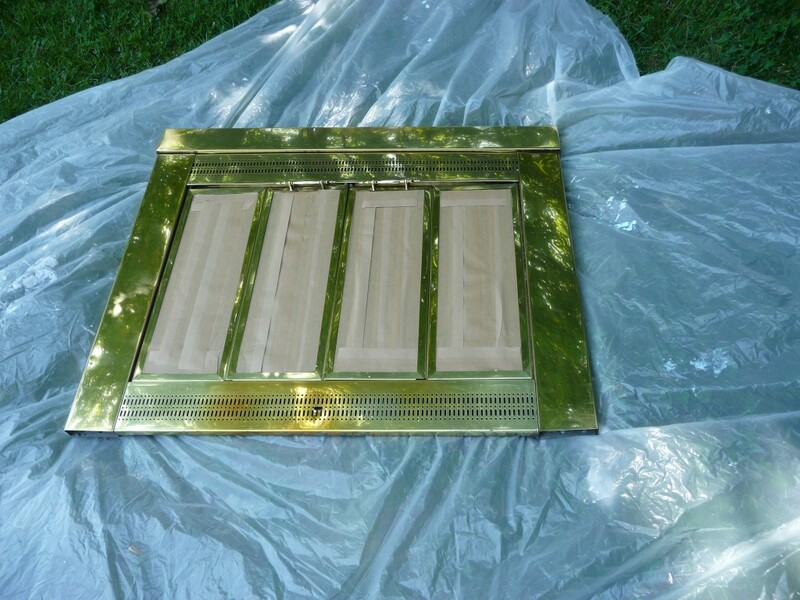 Protect glass with painter’s tape. 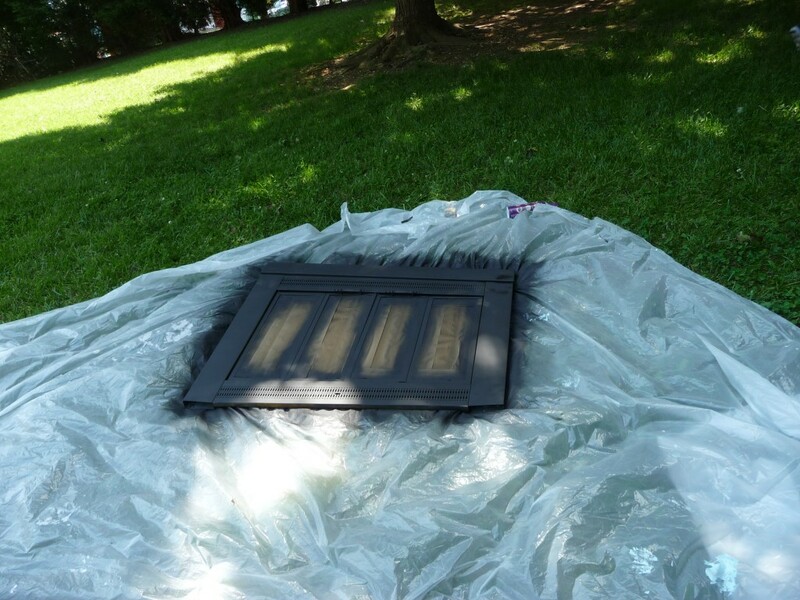 Spray with high heat black spray paint. Now the inside. I mixed 1 part paint (just regular latex trim paint that I had on hand) with 3 parts of water. I used an old brush with a rag and started painting. It was pretty drippy. I am a notoriously messy painter and this was worse than usual. I kept the rag handy to keep the paint from running down the bricks too much. It took about an hour total. I let the paint dry for a couple of hours and reinstalled the screen. It’s a pretty big change isn’t it? Overall, I’m pleased with the results. The bricks are a little bit messier than I anticipated. 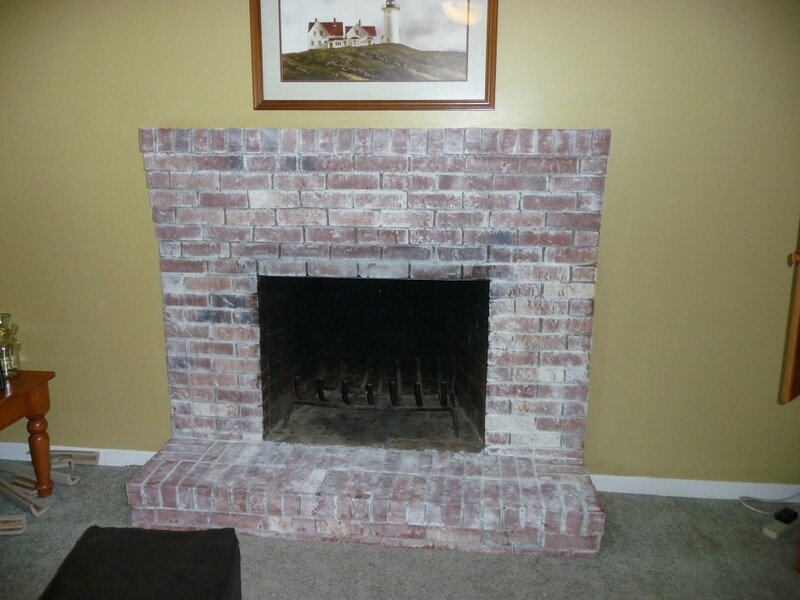 The rougher your bricks, the more unevenly the white wash will stick to it. Overall, I’d give my first Pinterest project an A-. Not bad for the cost of 1 can of spray paint! So what about you? Do you Pinterest? Do you actually DO any of the projects you find there? Wow you did a great job! It looks so nice. I agree that taking them outside sounds so much easier. I can’t believe the way they chose to do it. Ugh. Love this post! Oh my goodness….what a beautiful job you did!! Love your step by step details too…and I hear you on P! Looking fwd to more of your DIY posts…found you at the Frigal Fri hop!